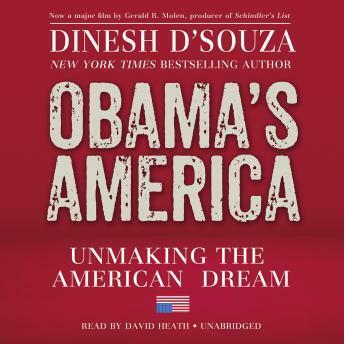 In his controversial New York Times bestseller The Roots of Obama's Rage, Dinesh D'Souza answered the question on everyone's mind: why is President Obama hell-bent on seeing America fail? The reason, D'Souza explained, is Obama's fervent anticolonial ideology. Here, in his blockbuster follow-up, Obama's America, D'Souza shows how President Obama is applying his anticolonial ideology to unmake America and turn it into a country our founders would hardly recognize. Obama came into office with an eight-year plan for America, argues D'Souza. If he's reelected in 2012, he will be able to finish the job-and destroy America's future. Making the case that Obama must be a one-term president, Obama's America reveals what unchecked power will do to this great nation and is a must-read for anyone who cares about America and her future.